Air pollution is the result of excessive burning fossil fuel, agricultural activities, factory wastes, mining operations, and environmentally damaging household products. It cannot be seen for the most part and its effects cannot be felt sometimes until years later. It truly is a silent, deadly killer. People who are affected by these conditions can develop various types of illnesses affecting the lung, the heart, and even the brain. Air pollutants exist inside and outside of our houses and it’s not always easy to spot them. Usually, people buy home air filters when they start experiencing health problems caused by years of breathing in toxic air. You do not have to wait until you have obvious symptoms in order to protect yourself. Air pollutants are all around us and you can start removing them today for healthier air. Urban areas are known to have the worst air quality. According to the American Lung Association, 10 of the most polluted cities in the U.S were all metropolitan areas, with over half of them in California. This is not by coincidence. In L.A, for example, traffic has gotten so bad in recent years that the city signed an ordinance to require homes within a certain distance from freeways to have home air filters. Living near the freeway, as it turns out, comes at a cost and the price you pay is your health. When a non-smoker inhales too much second-hand smoke every day, the effects can slowly add up. For children, second-hand smoke has been proven to trigger asthma attacks, respiratory infections, and ear infections. For the elderly, second-hand smoke can damage the lining of blood vessels and trigger heart attacks. If you live in an apartment complex where you always smell cigarette smoke, getting a home air filter can help detoxify some of the harmful chemicals from second-hand smoke before they enter your home. People who suffer from allergies know how aggravating springtime can be. While everyone is running around enjoying fresh grass and flowers, they sit with teary eyes and foggy brains. 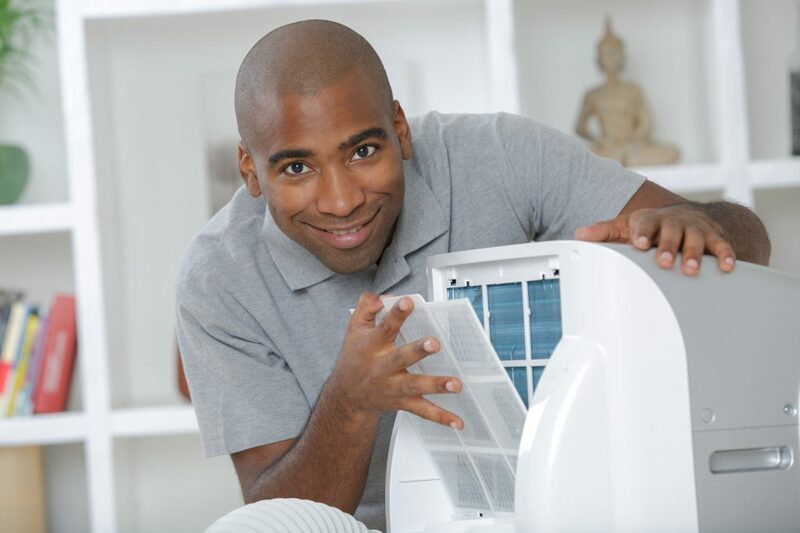 If you are this person or know someone like this, get them a high quality HVAC air filter that can filter out pollen, dust mites, and pet dander. It will help allergy sufferers sneeze less, cough less, focus better, and sleep better. It can make a dramatic difference in their quality of life. Asthma attacks can be extremely scary for anyone who’s ever experienced or witnessed one. Common causes of asthma attacks are plant-pollen, dust mites, and animal dander. Other causes may be less obvious like smoke, chemicals, or even strong fragrances from things like perfume or air fresheners. Getting an air filter can reduce asthmatic particles in the air and make the house a safer place for people with asthma. If you think you’re safe because you don’t live in an urban area, think again. Industrial factories and factory farms in rural areas can cause the air just as much harm. Animal manure from factory farms releases ammonia and hydrogen sulfide, two toxic gases that can lead to dizziness, eye irritations and in extreme cases, death. Mass production factories as well, often release heavy metals and carbon dioxide into the air. Studies have found lead, cadmium, mercury, and arsenic in environments where factories are located. When either of these chemicals is breathed in, a person can develop chronic illnesses and death. According to the American Heart Association, air pollutants are dangerous to the heart. People with already existing heart conditions especially the elders should take extra precaution. When a person with heart disease breathes in too many air pollutants, it can cause inflammation in blood vessels and the heart. Air pollutants can also disrupt air and oxygen levels in a person which then affects blood production. In some cases, air pollution will cause plaque to rupture blood vessels and this can worsen high blood pressure, increase the risk of heart attacks, strokes, and heart failures. Air pollutants can also affect the human nervous system and the development of brains in children. Artifical sources such as coal-fired power plants, cement kilns, and industrial boilers can all emit mercury, which is poisonous to the human body. Lead is a heavy metal that is sometimes found in the air from volcano eruptions, sea spray, bushfires, car exhaust, and factories. Lead can affect everything from cognitive skills to verbal skills in children. Recently, there was a particle called “magnetite” discovered in urban areas that have been linked to Alzheimer’s disease. For pregnant women, getting as much quality air as possible is extremely important for the development of the fetus. According to Time, air pollution leads to about 16,000 premature deaths in the United States each year. The mothers either breathed in harmful chemicals or was not getting enough air which affected the amount and quality of oxygen that the fetus received. In addition, air pollutants can also disrupt certain proteins from being produced that the babies need. For mothers living in high traffic areas or near sources that produce chemical waste, a home air filter can reduce these risks for a healthier pregnancy. While environmental agencies around the world are working hard to fight for better and cleaner air for all of us, air is something that we cannot control. Furthermore, harmful air pollutants are also be found in our own homes. Household products such as bleach, hairsprays, air fresheners can be equally dangerous to our health.These toxic fumes can irritate the eyes or throat, cause headaches and other serious health problems. If you want to be proactive in making sure you or your family is breathing cleaner air, installing a home air filter is an easy way to do so. Visit us on our webpage today to learn about the different types of home air filters available to you.